On a recent trip to Haiti, board president Renel Noel and volunteer Andrew Hayward Smith documented House of Hope and Beraca Medical Center in photographs. Beraca Medical Center has no running water or indoor plumbing. Patients and doctors must walk 300 feet outside the hospital to use outhouses without hand washing facilities or toilet paper. This creates a tremendous risk of infectious disease in the hospital which not only affects hospital patients, it also directly affects House of Hope. Many children of House of Hope are in rehabilitation from hospital services and most receive hospital treatment. Infections including cholera can rapidly spread from the hospital to the orphanage. 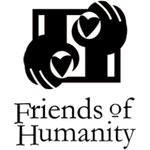 Friends of Humanity is actively working to obtain funds to build a water and hygiene system that begins with a septic system. Renel has worked with the doctors to devise a septic system that will enable us to construct hospital bathrooms. The hospital also provides power for House of Hope through its electric generator. House of Hope obtains clean water from a well installed by Friends of Humanity. Water is pumped up the hillsides during the day. When the generator is turned off at night to save fuel, a gravity system continues to deliver water to House of Hope in the evening. Fuel is extremely expensive in Haiti, so Friends of Humanity hopes to one day install a solar-powered generator. House of Hope has indoor sinks and showers…. a great achievement in addition to the community well. Volunteers stay in a house built by Renel Noel from his own funds. This house (the pink building) is solar powered and has a modern plumbing system installed by Renel himself.